Johnson City, Texas is located in Blanco County and is just a little over an hour drive from Austin. Established in 1879, the original 320-acre plot of land on the Pedernales River grew into the community know known as Johnson City. Once home to Lyndon Baines Johnson, this small town has a lot to offer. Explore the historical aspect of Johnson City when you first arrive with a visit to the LBJ Ranch, where you'll find the homes of President Lyndon B. Johnson and his family. LBJ's boyhood home, the Johnson Settlement and the LBJ Ranch (also known as the Texas White House) all offer free, self-guided tours. Kids can have fun while learning about President Johnson. Tip: Stop by the National Park Visitor Center in Johnson City to pick up a Junior Ranger booklet for your child. 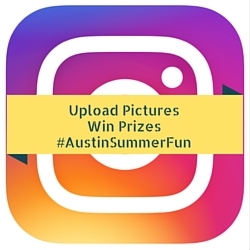 Visiting this site and completing 6 activities earns a Junior Ranger Badge for kids ages 5-10 years old. 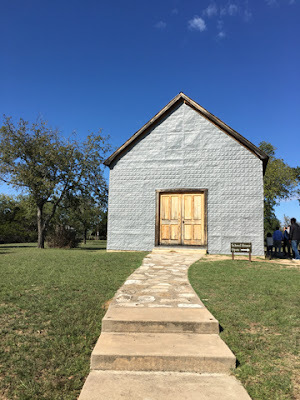 Read about Lisa's trip to LBJ Ranch. Hours: Open seven days a week except for holidays including Thanksgiving, Christmas and New Year's Day. Permits are given out from 9 am - 4 pm. Gate closes at 5:30 pm. Did you know that there's an exotic zoo in Johnson City? Hop into the car for a guided tour of the 137 wooded acre preserve where you will be able to see several endangered species. Tours of the Exotic Resort Zoo are offered 7 days a week, and allow visitors to get up close to the animals. 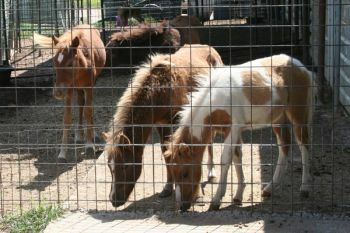 There's also an on-site petting zoo where kids can enjoy the unique experience of petting, feeding and playing with friendly animals including baby deer, llamas, kangaroo and more. At this point, you may want to take a break inside an air conditioned building. Head over to the Hill Country Science Mill, a hands-on museum for kids of all ages. 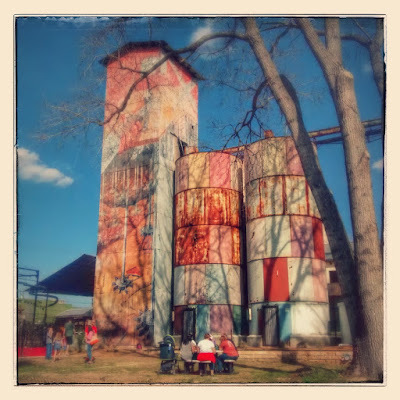 The Hill Country Science Mill has been built around a steam grist mill which was built in 1880. At different points in its history, it had been converted into a flour mill, feed mill, and even served as a restaurant and entertainment complex. The museum was founded to help young people connect scientific principles to every day life and to learn about careers in science they may have never considered. The Science Mill is the epitome of hands-on, and in fact the first thing you do when you enter the museum is to design your own avatar. The exhibits include a Dig In, Cell Phone Disco, Mindball, Fractalarium, and there's even a play area for the younger kids. Before heading back to Austin, tire the kids out at Pedernales Falls State Park. There's a little of everything here including hiking, swimming, fishing, kayaking, canoeing, bird watching and more. 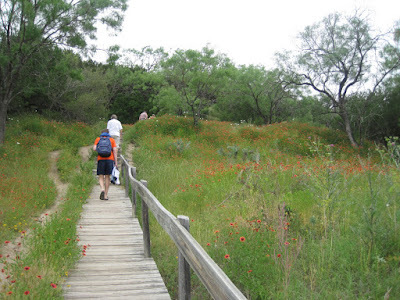 Read Nicole's review of Pedernales Falls State Park for more details. Hungry? Try out Ronnie's Ice House Barbecue. With limited amounts of this mouth-watering Texas barbecue available, we recommend getting there early for lunch as they often sell out. Call before you head out (the number is (830) 868-7553), since they do close when the food sells out.